For dependable snow removal services in Northwestern Rhode Island ( RI ), look no further than Sutherland Organic Solutions. Our snow plow operators have the experience to clean up a small residential driveway all the way up to a large commercial parking lot. Our plows clean the snow in a quick and safe manor so your home or place of business can be cleared as soon as possible. When you choose our snow removal services, we take the time to access your yard so our driver’s will not tear up the lawn or damage any other landscaping. We also will use shovels and snow blowers to carefully remove snow or ice from sidewalks and areas we are not able to access with snow plows. We offer a number of different options for payment. These payments include all major credit cards. Payments by the storm or by the amount of accumulation are just a few of our different options. We will work with you to set up the best plan for you or your business. Our company is licensed, Insured and dedicated to providing the best services to our customers. 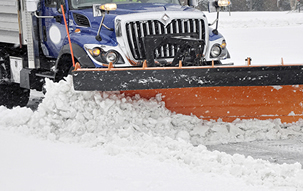 To learn more about our snow removal services please contact one of our service representatives today.